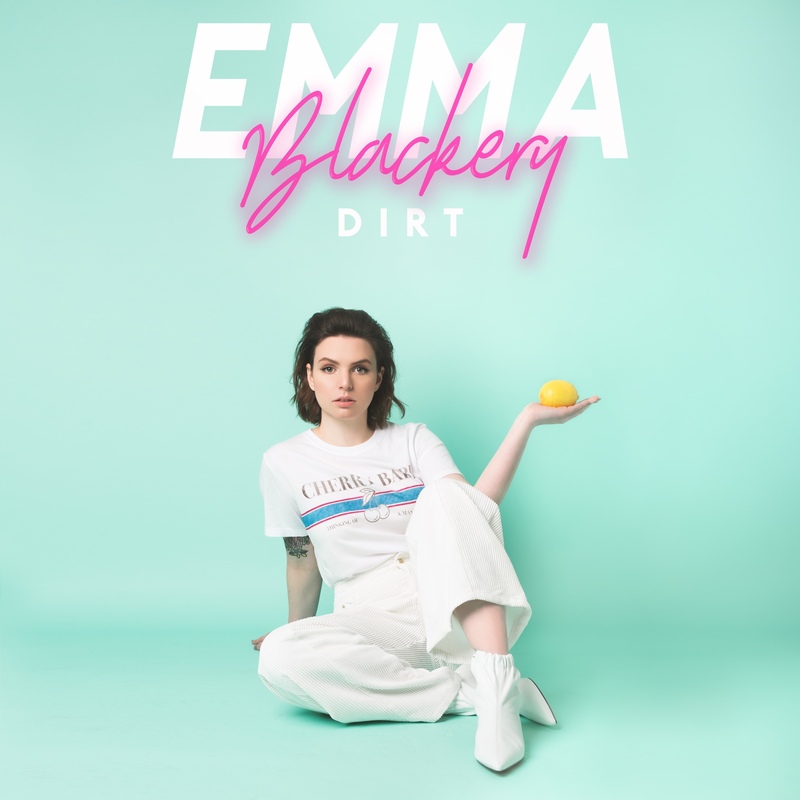 We chatted to Emma Blackery about her catchy new single ‘Dirt’, all things music and her YouTube career. Your lyrics go, ‘I’ve got tea for two…’ who do you share all your tea [gossip] with? I would have to say my best friend Lily, any time there’s any sort of gossip or anything about people we have crushes on, we’re always texting and I can tell her everything. I’m actually drinking apple tea right now! In the morning, do you drink tea or coffee? Tea – I find coffee makes my heart go a little bit too fast! Has anyone ever shared rumours about you, how do you deal with that? I mean, you can’t really be on the internet for six years and not have people share rumours about you. I used to get really upset by them, and I had to convince everyone that the ones that were not true were definitely made up. But now, I try to have peace in knowing this isn’t me, and what really matters is how I feel about myself and how those who care about me feel about me too. Do you think that trolling is unavoidable if you live your life online? Yeah, sadly! I think whether you’re a singer, or in politics or something, everyone has to voice their opinions. It’s one of those things – you become extremely divisive. There’s always going to be someone who wants to wind other people up, but it’s about how we help those people rather than punish them. How long does it take you to write your songs? It really depends on the song! There have been some songs that I have written the night before going into the studio to record them. There’s some that I’ve written in ten minutes. Other ones – like ones from the upcoming album – I’ve had in the process for about two years. It honestly varies so much! The original part of dirt was written in about an hour, and it’s taken on a completely different sound over about four or five months. I just write about my life. All of my songs are written about personal experiences I’ve had. I don’t keep a diary or a journal so I guess in a way I just project all of my thoughts into a song. Yes, actually. Being a performer was always the pipe dream but I never really believed I could do it when I was younger. I didn’t have the confidence or self-esteem to believe that it was possible. I used to be in my bedroom pretending that I was in a girl-group, singing into a hairbrush! It’s nice that I’m doing it for a living. Taylor Swift, Katy Perry, Lady Gaga, I like Paramore a lot. it really just depends what I’m listening to! I love Lorde as well – right now I’ve got her album on repeat. I can’t say my own one, can I?! The truth Is one of my favourite songs right now is one I haven’t released yet. Ultimately, you should always be your own biggest fan. If you don’t completely dig the songs you’re writing, you should change them or stop writing them! Something from Taylor Swift’s new album! It was around 2011. I was working as a waitress, and when I’d come home I’d go on YouTube trying to find videos to entertain myself. Then I found out that people were doing it for a living – talking to a camera, showing of their personalities and trying to make people laugh. Then I thought “I’d like to try that!” and I started filming on my days off. It just took off from there, and became such a big dominance in my life that I was able to leave my job and do it full time. What kind of videos do you like making most on YouTube? I really love the weekly vlogs I do! The ones where I just take the camera and let people follow me around for the week. It’s the most authentic I can possibly be, just updating people on my life every single day. I prefer those videos to sitting down editing a comedy video or anything like that – I prefer being completely real. What do you love and hate about YouTube? I love being able find people all across the world who I’ve never met before who connect with me as a person, who enjoy my music, who support me through everything. Without YouTube, I never would have met them or come across them in my life. I’ve met a tonne of people who’ve become lifelong friends and understand me and understand what I go through. I don’t know where I’d be without them. Don’t like: Everyone has opinions and I think there’s a difference between understanding constructive criticism, and comments that you know were meant to hurt you. I don’t understand the mentality of people who do that – sometimes I do have to avoid reading comments altogether as they can get a bit nasty. Who’s your dream collab — musical and YouTube? YouTube: My dream collab is just being with my friends, because its people I already know and understand me. Musically: Talyor Swift: all day, every day. She’s an incredible song writer, she inspires me a lot. I guess I wouldn’t be who I am without making the mistakes that I’ve made. I would have to say don’t be so quick to write yourself off. Pursue your dreams. Pick up that guitar. Keep playing. Work at it. Stop convincing yourself that you won’t be anything, because you’ll prove yourself wrong! Do you ever get nervous? What about? I get nervous before a song or a really important video is released just because I care about what people think. The night before a song is released is always the most stressful because you just don’t know how people are going to take it. Something you’ve worked on for so long is finally going to be out there in the world! You just have to hope that people connect with it. Write music – I’m just writing new music all the time now! I love just sitting in my own home studio creating new stuff. Next story Nina Nesbitt Calling! Previous story Introducing… Ananya Birla!